Social media monitoring should be an incorporated element in a marketing strategy of each company. 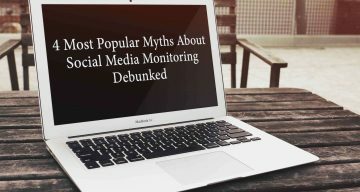 However, some enterprises still do not know much about Internet monitoring and fall for the fallacy that it is expensive or time-consuming. We are here to debunk these myths. Is Blue Monday Really the Worst Day in the Entire Year? Main characteristic of social media is that when something is trending, everyone writes about it. Blue Monday is one of these popular topic that no one wants to miss. We are halfway through CES 2015. The number of all these cutting edge tech devices is overwhelming, but some nice gadgets has already been revealed. Largest tech event which have taken place annually since 1967 attracting major brands, industry professionals and tech fans from all over the world. The online environment is transforming instantly, moving towards some directions and receding from others. What will the year 2015 bring for the industry? Some insights gathered during the best 10 days in Brand24’s history. Record breaking sales and signups. Have you ever wondered why everyone likes Santa so much? He has been always portrayed as an good-natured and generous old man who every holiday gives the presents away to all well-behaved children.